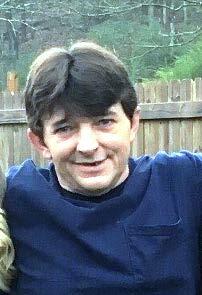 Raymond Wayne Phillips, Age 51, of Ashland City, passed away October 22, 2018. Loving father of 4, hard worker and strong member of the community. He was a jokester and he could find humor in anything. Raymond was a devoted son and brother. He spent his days building beautiful homes in Middle Tennessee. He loved to go on family vacations and fishing trips. He never met a person who wouldn’t soon become a friend. Willing to help anyone in need. He had a passion for collecting all things Mustang. Preceded in death by his father, Thomas L. Phillips, Sr.; brother Thomas L. “Little Tom” Phillips Jr., Survived by his children, Crystal Ammons (David Hunter), Kayla Jones (Zach), Sierra Phillips (Timmy Vanatta), & Autumn Phillips; granddaughter, Blakely Kate Ammons; mother, Gladys Phillips; sister, Rhonda Phillips (Jamusin Hathaway); son-in-law, Ryan Ammons; ex-wife, Sandra Lee Phillips; several extended family members and friends. In lieu of flowers, donations to be made to Pegram Elementary School Library Fund. A Life Celebration will be held Saturday October 27th at 11am. Visitation will be Friday October 26th 4-8pm, at Harpeth Hills Funeral Home, 9090 Hwy. 100, Nashville, TN 37221, 615-646-9292, harpethhills.com. May our Lord and Savior be with the family at this time . Praying for each and every family member. There is not enough words to describe Raymond. One of the best male role models I could ever look up too. He always told me I had the brains of my family. I loved it when he took me riding in his nice mustangs down river road . He built the most beautiful houses. Raymond definitely left an impact on me. I will miss not getting to see him nor ranting to him about my silly problems. He always had the right words to turn my frown upside down. His laugh was the best! One of my truly best friends and one of the best man I’ve ever meet..Raymond was one who would help anyone and was generous and always made friends with anyone..love you Ray..thank you for all you tought me and did for me… Love you daddy Ray..sure will be missing you.. Crystal I’m so sorry to hear of your Dad’s passing. You are in my thoughts and prayers. Crystal praying for you and your family. The Family of Ray are in my prayers as you lay him to rest today! I didn’t know Ray that well but what I did get to know of him was all good he was a great man and had a heart for just about anyone. You will be greatly missed Ray fly high with the singing angels as you are now a guardian angel watching over us all especially the ones you loved and cared about the most. Rest in peace Raymond. I will never forget see you come down Robertson road, on your crutches to visit me. Fly high.